Cleantech promises to play a vital role in fostering sustainable development world. Access to clean, reliable and relatively cheap energy from renewable resources, especially solar power, will usher in a new era in developing countries like India, Bangladesh, Kenya, Rwanda and Peru. 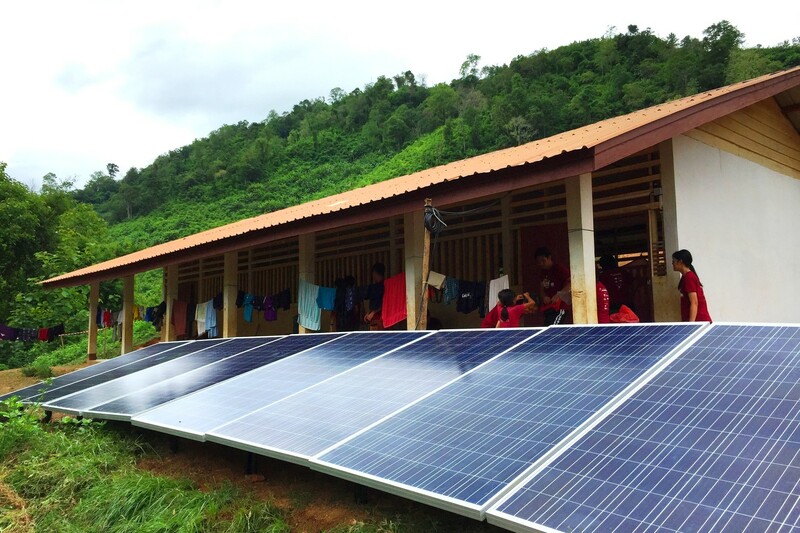 Off-grid (also known as microgrid or standalone) renewable power systems are already making a meaningful difference in the lives of millions of people in the developing world, especially in rural areas. Apart from solar, wind and biomass energy will also play a key role in improving the living conditions in impoverished parts of the world. Advancements in battery energy storage have pushed this particular sector into media as well as public spotlight. With big industry names like Tesla and Nissan leading from the front, energy storage technologies are expected to make great contribution in transition to green grid powered by intermittent energy sources like solar PV, CSP, wind and biomass. In recent years, the concept of Zero Waste has transformed our perception about garbage. The concept of Zero Waste has led to the development of a new waste management hierarchy involving 7Rs – Reduce, Replace, Reuse, Recycle, Recover, Refuse and Rethink. Zero Waste movement is fast spreading worldwide and many communities are making serious efforts to reduce waste generation and to make the best use of trash. In the coming years, advancements in recycling systems, treatment methods and eco-design will not only help in waste diversion from landfills but also help in smooth transition to a circular economy. In Kuwait, the predominant renewable energy resource is available in the form of solar and wind. The country has one of the highest solar irradiation levels in the world, estimated at 2100 – 2200 kW/m2 per year. The average insolation of 5.2 kWh/m2/day and maximum annual sun hours of around 9.2 hours daily makes Kuwait a very good destination for solar power plant developers. Wind energy also has good potential in the country as the average wind speed is relatively good at around 5m/s in regions like Al-Wafra and Al-Taweel. Infact, Kuwait already has an existing 2.4MW Salmi Mini-windfarm, completed in 2013, which mainly serves telecommunication towers in remote areas and the fire brigade station in Salmi. As far as biomass energy is concerned, it has very limited scope in Kuwait due to arid climate and lack of water resources. Interestingly, Kuwait has been one of the earliest advocates of renewable energy in the Middle East with its involvement dating back to mid-1970s; however the sector is still in its early stages. The good news is that renewable energy has now started to move into development agenda and political discourse in Kuwait. The Kuwait Institute of Scientific Research (KISR) and the Kuwait Authority for Partnership Projects (KAPP) are playing an important role in Kuwait’s push towards low-carbon economy. KISR, in particular, has been mandated by the government to develop large-scale alternative energy systems in collaboration with international institutions and technology companies. Kuwait’s renewable energy program, with the aim to generate 2GW renewable energy by 2030, has been divided into three stages. The first phase involves the construction of 70 MW integrated renewable energy park (solar PV, solar thermal and wind) at Shagaya which is scheduled to be completed by the end of 2016. The second and third phases are projected to produce 930 MW and 1,000 MW, respectively. The three phases will meet the electricity demand of 100,000 homes and save about 12.5 million barrels of oil equivalent per year on completion. The Kuwait Institute for Scientific Research (KISR), founded in 1967, is one of the earliest research institutions in GCC to undertake commercial-scale research on potential applications and socio-economic benefits of renewable energy systems in Kuwait as well as GCC. Infact, KISR designed and operated a pilot-scale 100kW solar energy station in 1978. Over the years, KISR has done extensive research, using experimental projects and economic modelling exercises, on deployment of solar energy, wind energy and renewables-powered desalination in Kuwait. KISR is playing a pivotal role in the conceptualization, R&D and development of renewable energy projects in Kuwait including the flagship venture of Shagaya Renewable Energy Park. Shagaya is to Kuwait as Masdar is to Abu Dhabi. Shagaya Renewable Energy Park comprises of solar thermal, solar photovoltaic and wind power systems, being built on a 100 km2 area in Shagaya, in a desert zone near Kuwait’s border with Saudi Arabia and Iraq. The $385 million first phase, scheduled to be operational by the end of 2016, will include 10MW of wind power, 10MW of solar PV, and 50MW of solar thermal systems. The project’s thermal energy storage system, based on molten salt, will have nine hours of storage capacity, one of the few projects worldwide with such a large capacity. Al-Abdaliyah ISCC Project is another promising solar venture which is currently at pre-qualification stage. To be built in the south-west of Kuwait, the plant will have a total capacity of 280 MW, out of which 60 MW will be contributed by solar thermal systems. The facility being developed under a build-operate-transfer scheme, under the supervision of Kuwait Authority for Public Partnerships, provides a 25-year concession backed by an energy conversion and power-purchase agreement with the government. The major force behind Kuwait’s renewables program is energy security and diversification of energy mix. The country has one of the world’s highest per capita consumption of energy which is growing with each passing year. Kuwait is heavily dependent on imported liquefied natural gas (LNG) to run its power plant, which is a significant burden on its GDP. In recent years, the MENA region has received some of the lowest renewable-energy prices awarded globally for both photovoltaic and wind power which seems to have convinced Kuwait to seriously explore the option of large-scale power generation from renewable resources. Needless to say, Kuwait has a long way to go before renewable energy can make a real impact in its national energy mix. Another key driver for Kuwait’s transition to low-carbon economy is its carbon and ecological footprints, which is among the highest worldwide. Widespread use of renewable power will definitely help Kuwait in putting forward a ‘green’ and ‘eco-friendly’ image in the region and beyond. Job creations, growth of private sector, development of green SMEs sector and heavy cleantech investment are among other important benefits. The business case for green energy proliferation in Kuwait is strengthened by widespread availability of solar and wind resources and tumbling costs of alternative energy systems. With many projects in planning and development phases, Kuwait should now focus on implementing projects in a timely manner and also on developing a realistic renewable energy vision. The development of a renewable energy atlas and renewable energy framework are bound to attract more investments from local and foreign investors.